Yesterday, November 6, 2017, the acting Secretary of Homeland Security, Elaine Duke, announced her decision to terminate the Temporary Protected Status (TPS) designation for Nicaragua, with a delayed effective date of 12 months until the termination of that designation, giving Nicaraguans enough time to make preparations to either depart the United States or seek alternative lawful immigration status in the United States, before the designation officially terminates on January 5, 2019. Furthermore, Duke announced that the TPS designation for Honduras will be automatically extended for six months “from the current January 5, 2018 expiration date to the new expiration date of July 5, 2018.” This automatic extension has been granted because additional information is necessary to determine whether conditions have changed in Honduras that would justify termination of the country’s TPS designation. According to Duke’s announcement, the decision to terminate the TPS designation for Nicaragua was made after it was determined that the conditions in Nicaragua have changed since the country’s original 1999 designation that no longer justify granting protected status to this class of individuals. Furthermore, because the Secretary received no formal request from the Nicaraguan government to extend TPS status, and there was no evidence to indicate that the Nicaraguan government could not adequately handle the return of Nicaraguan nationals, the TPS designation for Nicaragua was no longer justified. Nicaraguans currently under TPS must depart the United States or seek alternative lawful immigration status by January 5, 2019, when the designation will officially be terminated. Nicaraguans who wish to continue working in the United States must apply for a renewal of their Employment Authorization by filing Form I-765 Application for Employment Authorization, to allow them to continue working until the official termination of the program on January 5, 2019. Honduran nationals under TPS will continue to have protected status through July 5, 2018. Hondurans must also apply for a renewal of their Employment Authorization by filing Form I-765 Application for Employment Authorization, so that they may continue to lawfully work in the United States through the extension period. 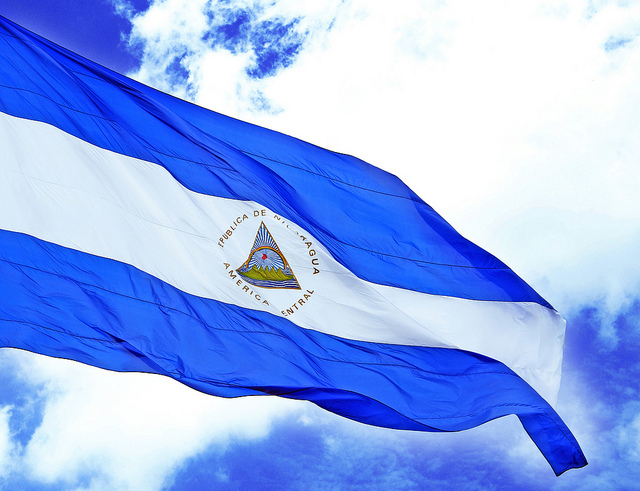 Given that Duke has not yet made any final decision regarding continued TPS designation for the country of Honduras, it is important that Honduran nationals under TPS begin to seek counsel to determine if they have any alternative means to remain in the country lawfully, should they succumb to the same fate as Nicaragua. In any case, if the designation of TPS were to be terminated for Honduras, the Secretary would provide ample time to allow these individuals to prepare for their departure or seek counsel to explore alternative immigration options. Duke has called upon Congress “to enact a permanent solution” granting these individuals protected status. Approximately 2,000 Nicaraguans and 60,000 Hondurans are currently living and working in the United States under Temporary Protected Status. The unfortunate reality is that the future of the TPS program for Central Americans is bleak. We know that on Tuesday, October 31st, Secretary of State, Rex Tillerson, sent a letter to Elaine Duke, claiming that the conditions in Central America and Haiti no longer justified granting Central Americans and Haitians a renewal of their temporary protected status. While Tillerson’s assessment has not formed part of any official announced released by the Department of Homeland Security, his recommendations have been confirmed by administration officials who have spoken with the media on condition of anonymity. The jury is still out for Honduras, as well as El Salvador and Haiti. No official announcement regarding the fate of these designations has yet been released. TPS status for Haitians is set to expire in January 2018 affecting 50,000 people, while TPS status for Salvadorans expires in March 2018 affecting approximately 200,000 people. To read the official announcement please click here.